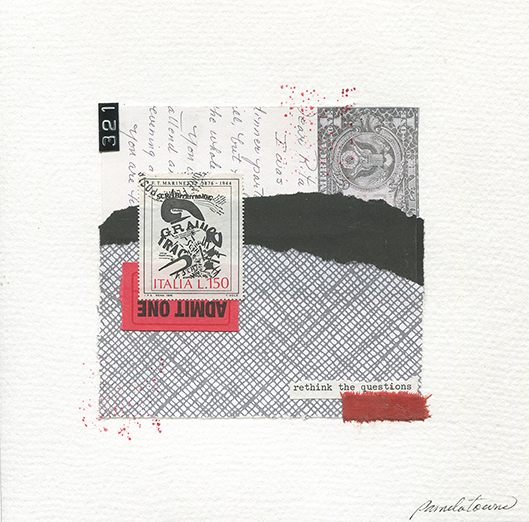 Unaccompanied … “words only” appearing in this collage inspired its name. 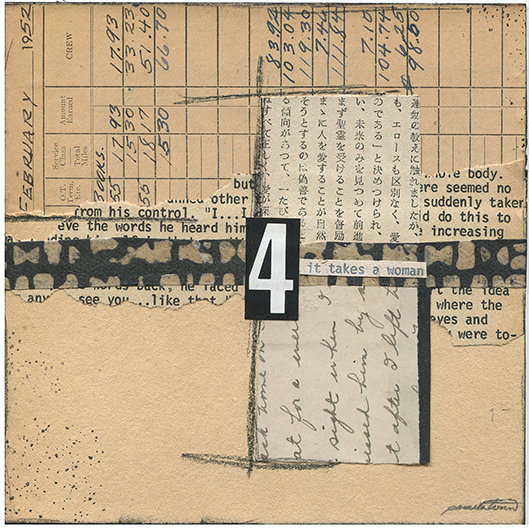 Mixed-media abstract collage with found brass number 6 stencil and old papers. 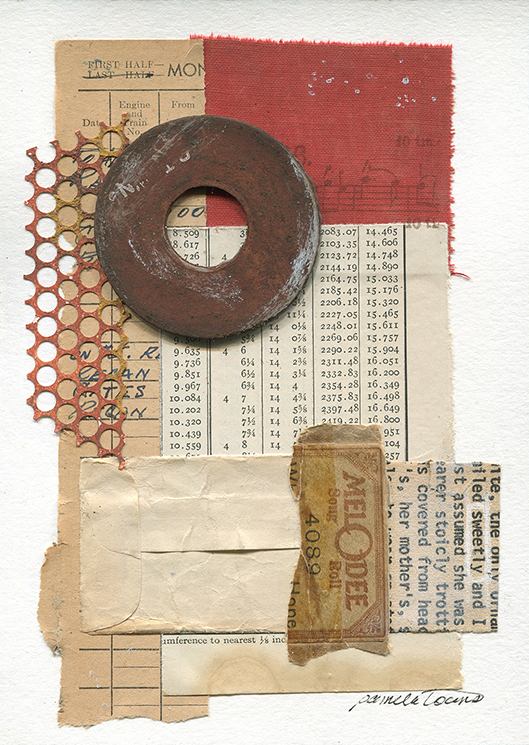 Mixed-media collage with vintage papers, book linens, plastic, rusty metal and book pages. 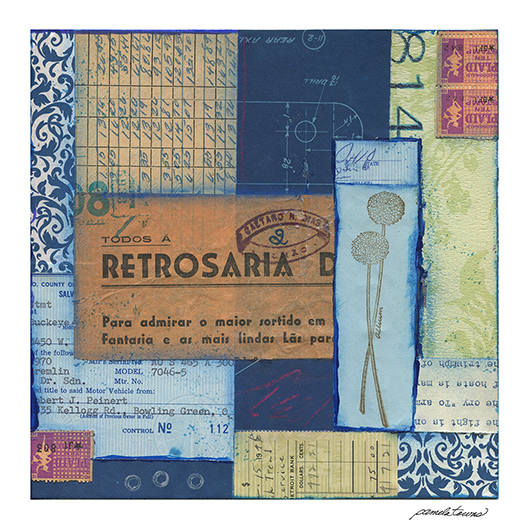 Mixed-media collage with vintage and printed papers, fabric, plastic and ink. 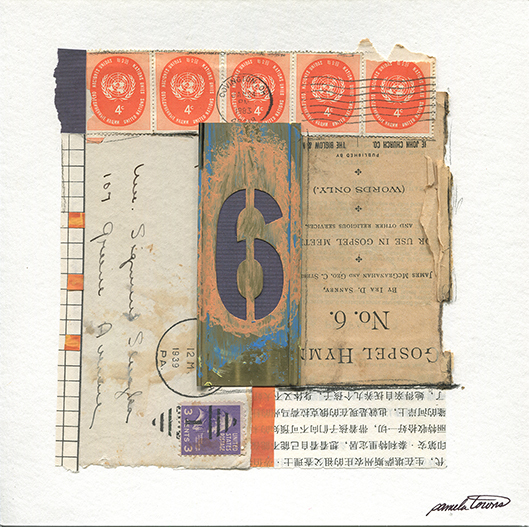 Mixed-media abstract collage from found and vintage papers, ephemera, paint and pastels. 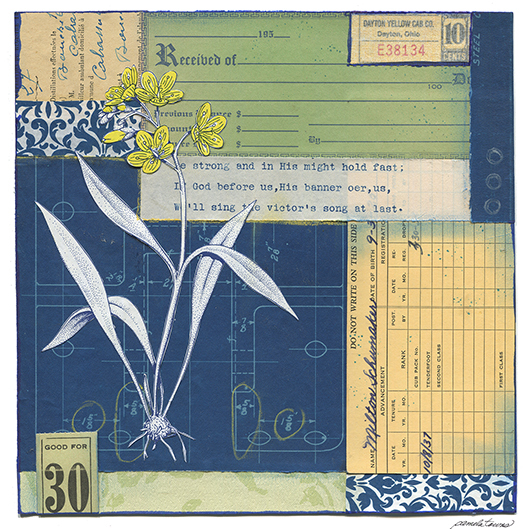 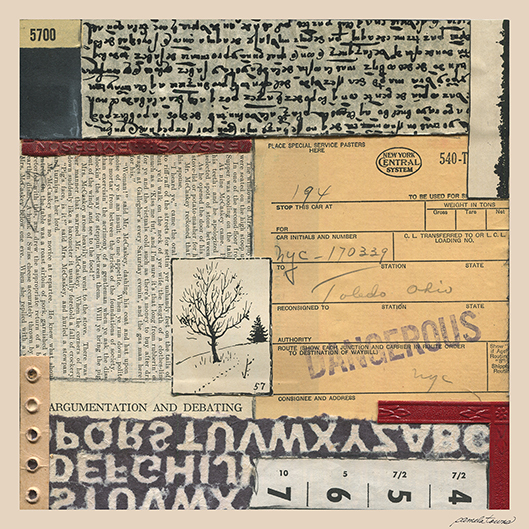 Mixed-media collage with vintage papers and ephemera. 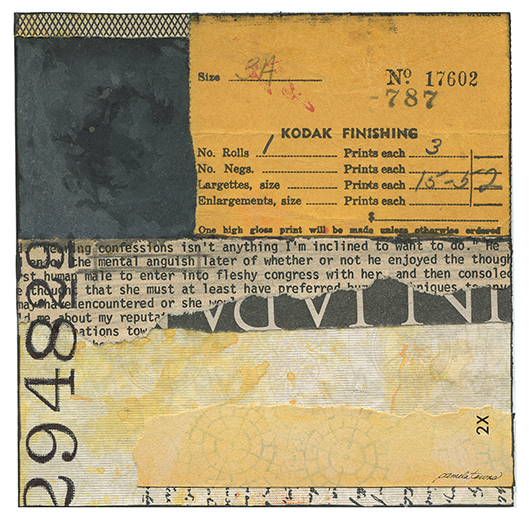 Mixed-media collage from old found papers and ink. 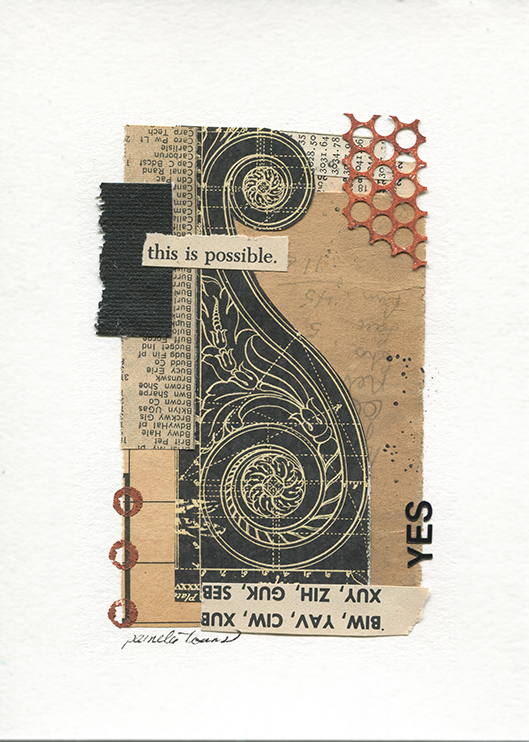 Mixed-media collage from old papers and handmade paper. 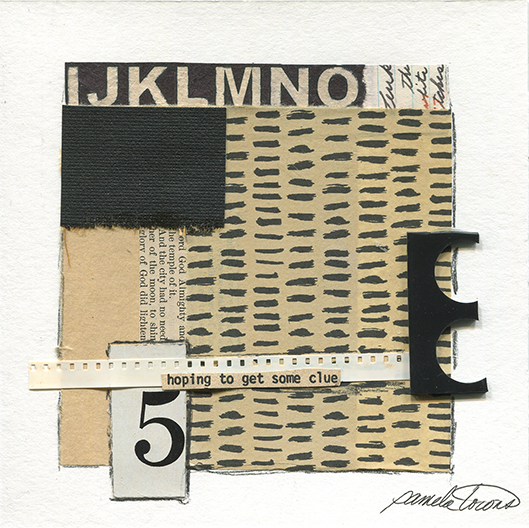 Mixed-media collage on watercolor paper with ephemera, security envelope, play money, postage stamp, handwritten letter, book skins and more.